We received a bit of sad news from El Reno, Oklahoma last week. 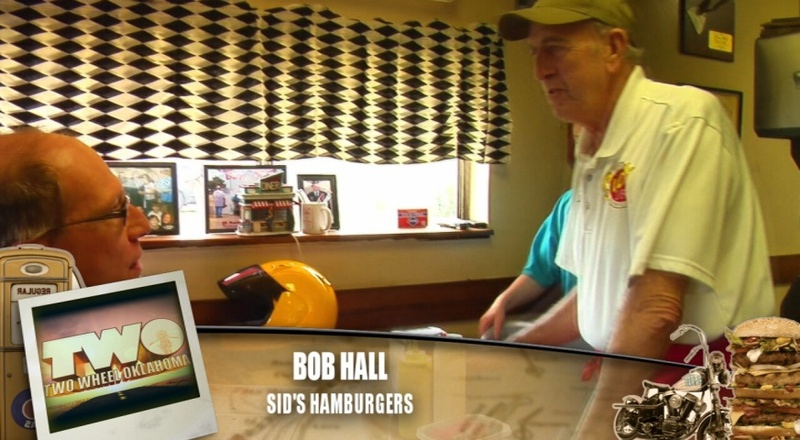 Robert "Bob" Hall, one of the owners of Sid's Burgers in El Reno, has passed away. I had the pleasure of interviewing Bob for our sixth show which featured Route 66 in Western Oklahoma, but it's more commonly referred to as the "Onion Burger episode." Bob was a friendly guy and was more than happy to tell us about his eatery and the importance of the Onion Burger to El Reno. He also cooked a mean burger. He was Sid's brother in case you're wondering where the name came from. The restaurant is still family owned and they will continue keeping the legacy alive. It's a strange experience to learn of the death of someone you have interviewed. In our own little way Brad and I were able to immortalize Bob, along with a slice of time and a stretch of Oklahoma concrete. On one hand it's a reminder of our own mortality. But more than anything it reinforces our desire to share these experiences. After all, you never know if that next onion burger might be your last. We'll be running Episode 6 next week on Cox Cable in Bob's memory.